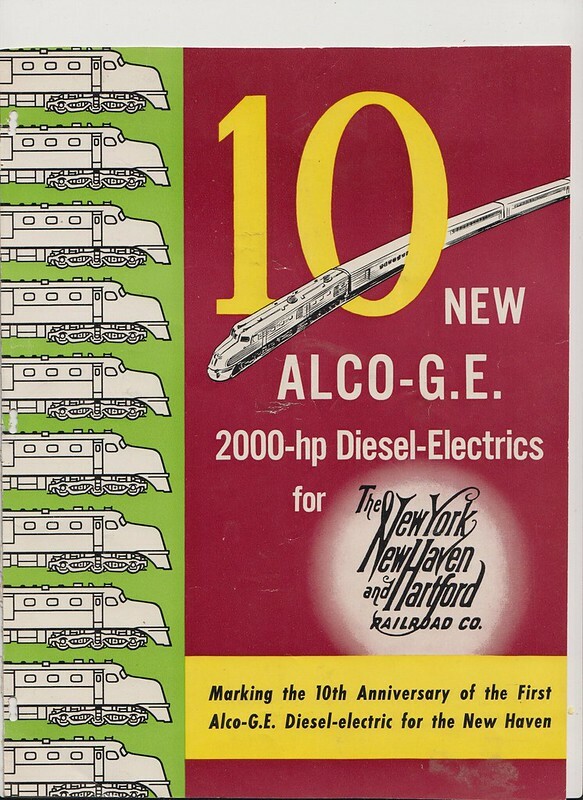 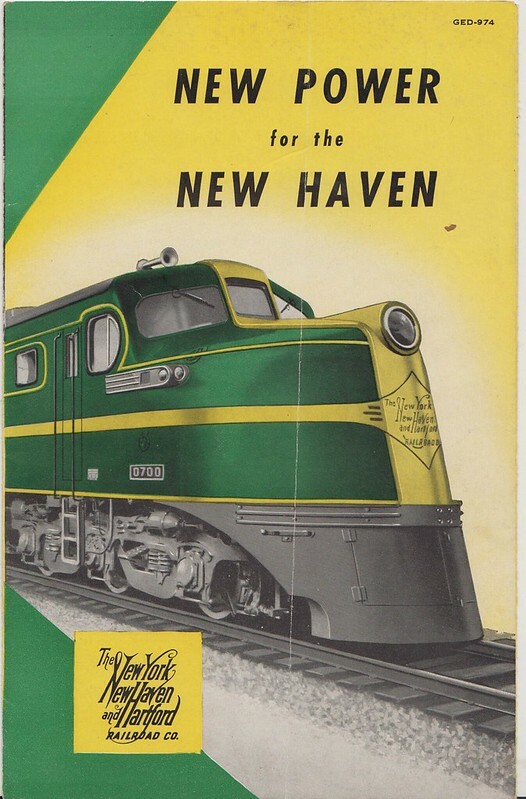 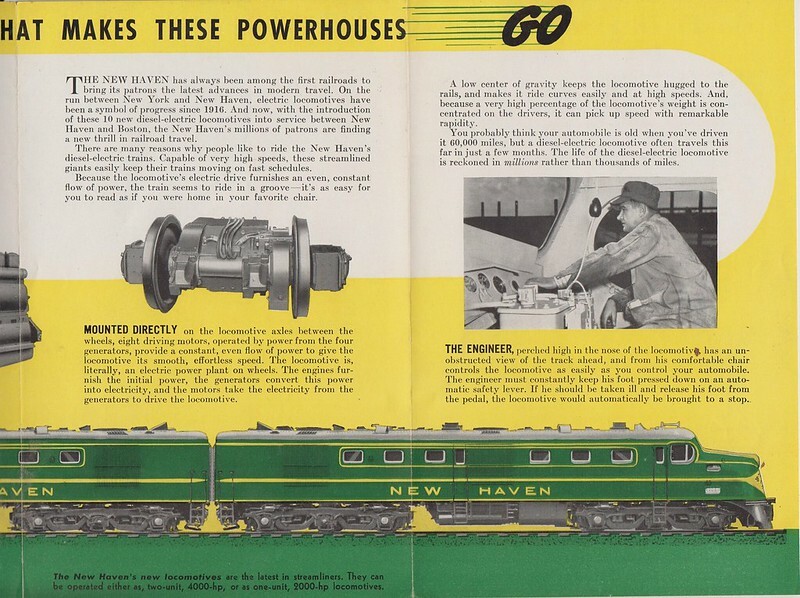 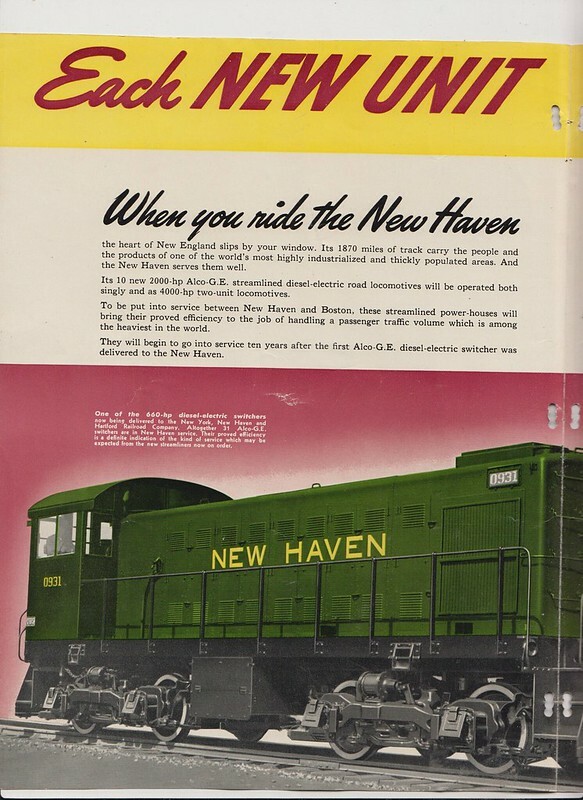 The New Haven RR was one of the first railroads to go heavily into dieselization. 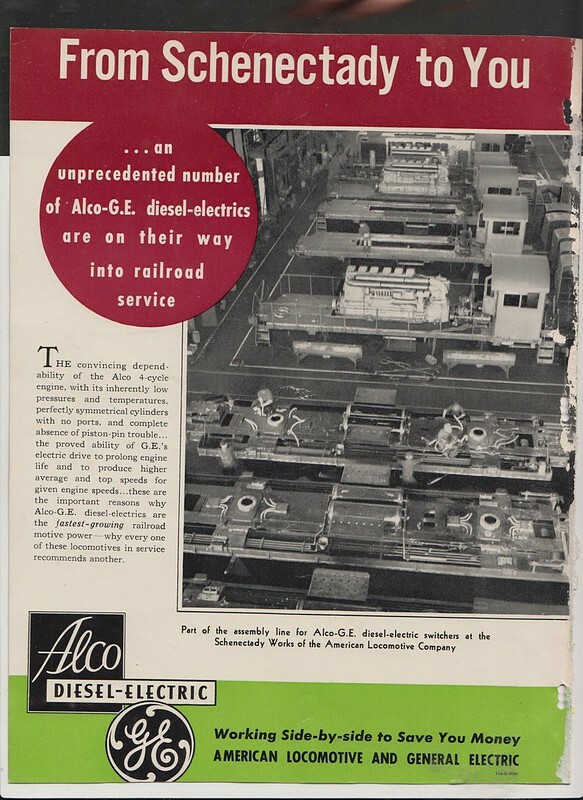 They were quite proud of that and so was the manufacturer of the locomotives, Alco-GE. 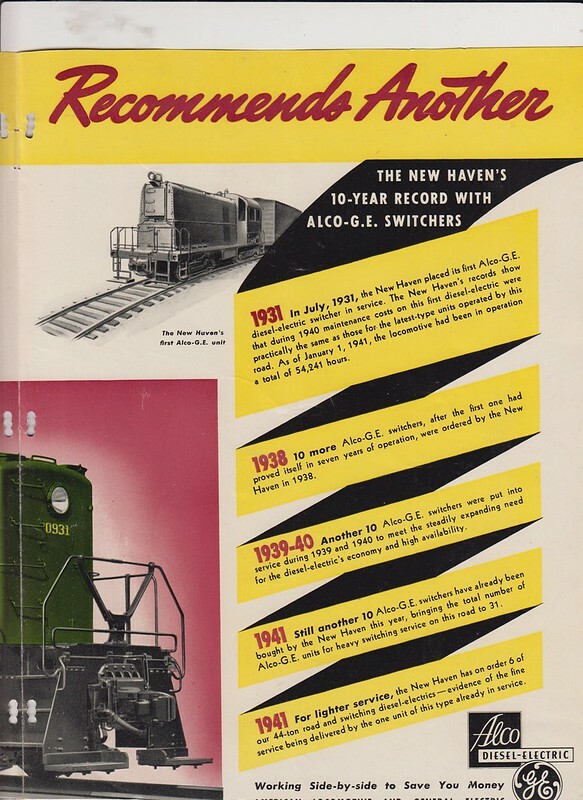 Here’s some scans of a couple of Brochures. 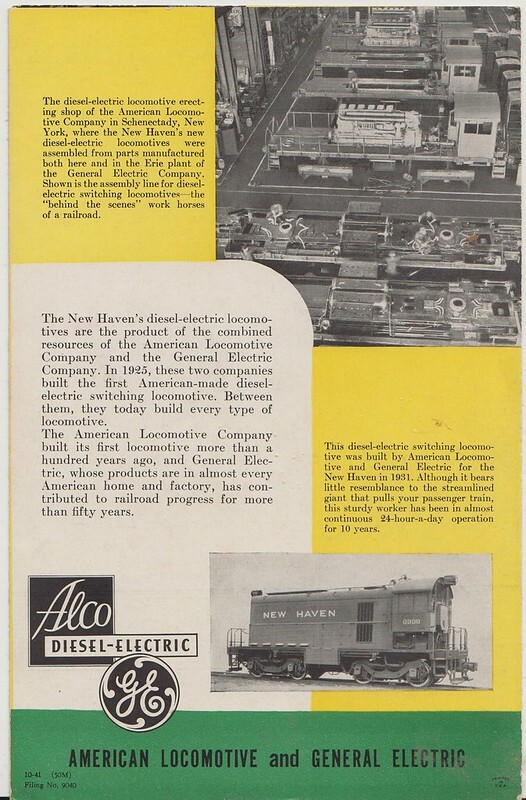 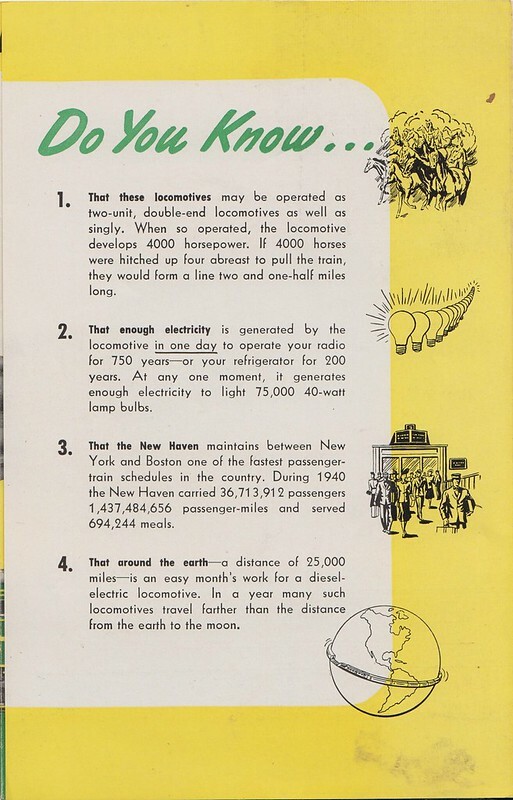 Due to the nature of the railroad’s operation and it’s not having a lineside fuel source the new Haven pushed every cost reducing technology they could. 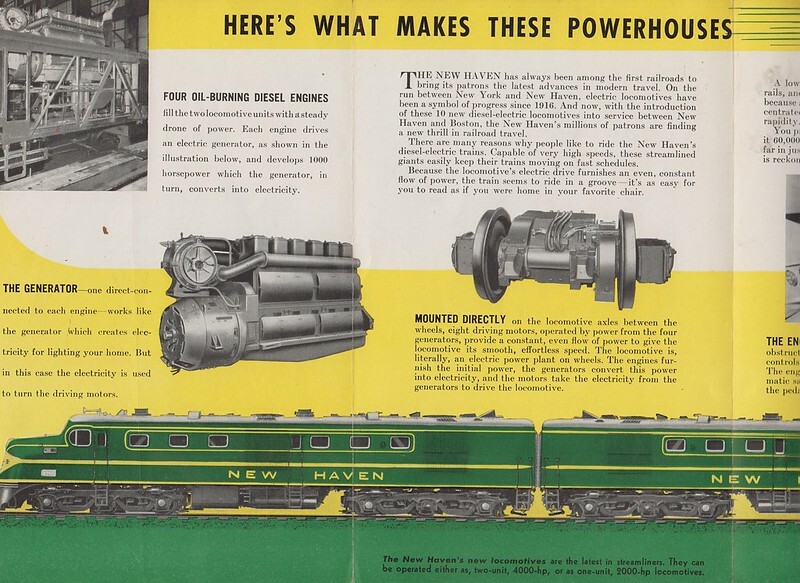 These locomotives are a case in point and they would do heavy service in the war soon to come.